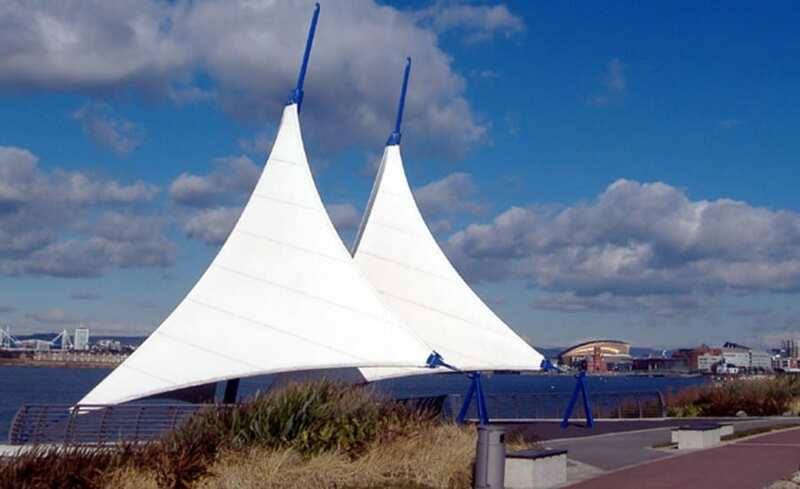 The installation of a series of tensile fabric sails has become an iconic feature of the landscape, symbolising the links between historic Cardiff Bay and the sailing tradition. The Cardiff Bay Barrage is a vast feat of engineering and attracts thousands of visitors every year. The barrage itself is 1.1km long and extends from Cardiff docks in the north to Penarth in the south. 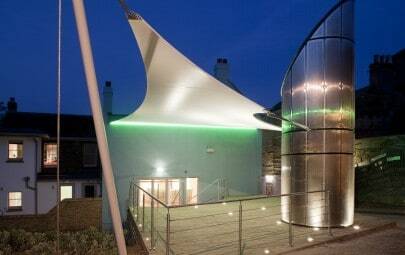 The invitation to install three tensile sails on the viewing platform looking out over the barrage was a great honour for Architen Landrell. As a local company, and one very much associated with the sailing tradition, it seemed an exciting opportunity to create a landmark fabric feature. 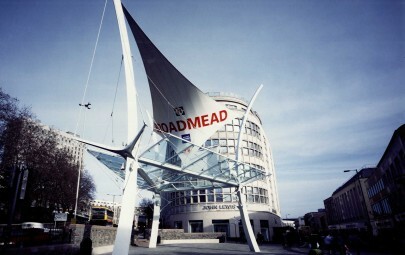 The choice was made to install three hypar sails, two large and one small, supported by two masts and connected at their perimeter to tripods. 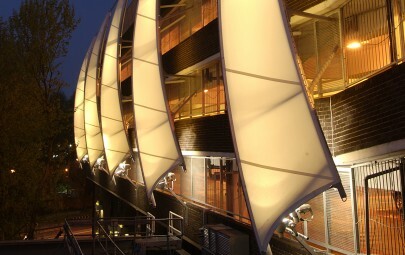 Each main mast carries a singular lighting bracket in order to protect it from coastal storms. 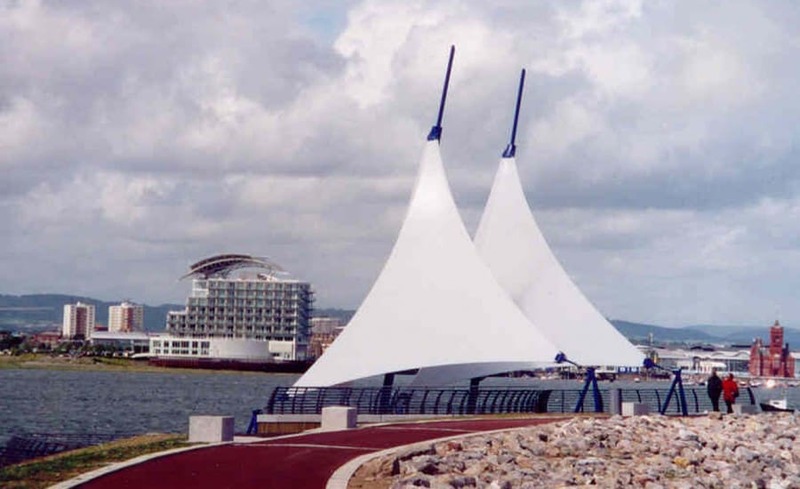 The landscaped embankment is a public space where visitors can walk, picnic and enjoy the panoramic views out over the sea and the Bay, while the sculptural sails remind them of the maritime tradition associated with the city of Cardiff.